Mark Bittman is most famous for his more than 20 cookbooks, including the How to Cook Everything series, and his revolutionary VB6: Eat Vegan Before 6:00 approach to diet. Mark’s most recent book is Dinner for Everyone. He’s also become a significant voice challenging how our current food system fails in almost every way to provide the most basic essentials for human life — real, good food. And he’s exploring how innovators around the world are doing just that. A former New York Times food writer, Mark is one of the few people who can speak with authority on virtually all aspects of food. Mark Bittman shares with audiences both a compelling critique of our modern global food system and an inspiring vision for the future of food. For his next book, he has researched the human species’ relation to food from prehistoric times to the present. Now Mark is continuing his research, traveling to places that show the way forward toward good nutrition, sustainable farming, non-harmful food marketing, and sensible public health and food policy. He is assembling a practical vision of a food system that respects the land, the people who grow it, and the people who eat it. Mark Bittman’s 2007 TED talk has had more than three million views and he has spoken at dozens of universities and conferences. In addition to the How to Cook Everything series and The New York Times number-one bestseller, VB6: Eat Vegan Before 6:00, Mark is the author of the award-winning Food Matters and of more than twenty other books. For more than two decades he wrote popular and compelling stories about food in the Times, where he became the lead food writer for the Sunday Magazine. He has written for nearly every major newspaper in the United States and for many magazines. He has starred in four television series, including Showtime’s Emmy-award-winning Years of Living Dangerously, and he is regularly featured on the Today Show. He was a distinguished fellow at the University of California (Berkeley) and a fellow at the Union of Concerned Scientists; he is a member of the faculty of Columbia University’s Mailman School of Public Health. 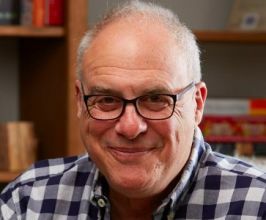 All American Speakers is a speakers bureau and booking agency providing information on booking Mark Bittman for speaking engagements, personal appearances and corporate events. Contact an All American Speakers Bureau booking agent for more information on Mark Bittman speaking fees, availability, speech topics and cost to hire for your next event. Please Note: All American Speakers Bureau acts only as an entertainment broker/producer for corporate functions, private engagements and special events. All American Speakers Bureau does not claim or represent itself as the exclusive agent or management of Mark Bittman or any artist on this website. Speaker fees are determined based on a number of factors and may change without notice. Fees often vary based on a number of factors including: speakers schedule, supply and demand, length of presentation, location of event and other factors. Fee Ranges listed on this website are intended to serve only as a guideline. In some cases, the actual price quote may be above or below the stated range.